The 33×3 2015 Challenge was simple – play 33 games 3 times each within the calendar year. after four months I was a little ahead of my goal, having played 37 of my total 99 plays. But by the end of December I had added just nine to that total, failing to get even half my goal. So what went wrong – and why am I trying it again? I managed to get all three plays of only eight games. Dead of Winter I was reviewing so had to play; Ingenious, Divinare, Kingdom Builder and Alhambra are shortish family games which are easy to get to the table; Through the Ages and Tzolk’in are more complex but equally popular, while Artus I banged through on a trip to Eastbourne. At the other end of the scale, eight games didn’t get played at all. These were either heavy on rules overhead/play time so hard to teach/get to the table, or games I didn’t like enough to fight for (20th Century, Industry). In between were a bunch of games that probably would’ve gotten the three plays in different circumstances – or that one was enough for. Two obvious things got in the way of completing this challenge which I’ve covered enough in other posts (the end of a relationship and the influx of review copies of games). But one other factor was important: I hadn’t picked the right games. Quite a lot of the titles on the list I’d picked because either I hadn’t played them, or I’d played them once or twice. This isn’t sound reasoning to try and get them played three times each – especially when I love loads of games that got played once last year, or not at all. It’s crazy to think I prioritised lesser games over favourites because of a challenge! Sure it made the challenge harder, but not at an expense I want to repeat. And of course, this is in hindsight – I had no idea what was going to happen to me during 2015, so couldn’t have predicted how much my playing hours – and what I was going to have to play – was going to change. So below is my list for 2016. I’ve gone for my current favourites, some games I know my friends love, plus some games I know I’ll be reviewing in the next few months. To make it a bit of a challenge I have left out very short games, plus games I know I’ll play regularly (so no Ticket to Ride, Love Letter or Race for the Galaxy). If you want to join the challenge, simply post your own list of games in the comments below and keep me posted! I’ll probably put mine on BGG again too, and link from the old one above. 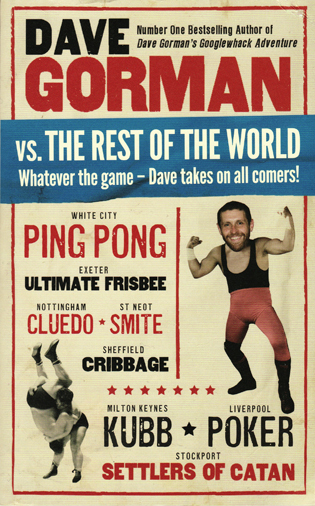 Or book me in for a game if any of these are your favourites – who knows, maybe I can even come see you in a ‘Dave Gorman vs the Rest of the World’ stylee. I’m certainly hoping to get out and about to a bit more gaming this year. I’ll probably update this post on occasion with progress reports too you lucky, lucky people. It was a cold winter’s eve back in November 2014 when the last ‘Books Wot I Red’ post winged its way onto the tinterwebs… and it’s a cold November night a year on now. Much has changed since then, but my reading habits – and pace – haven’t. In fact I’ve even managed to slow down: four books in a year is pretty pathetic going. Reading is still a luxury I rarely afford myself, with TV, gaming and writing still being my drugs of choice. But the books I have been reading I’ve thoroughly enjoyed. 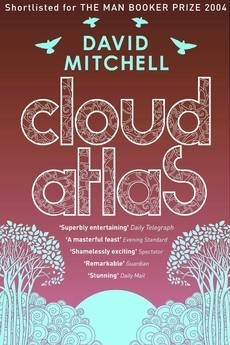 After the easy humour of Dave Gorman I set myself something slightly more challenging: Cloud Atlas by David Mitchell. It was shortlisted for the Man Booker Prize, after all – news only slightly tempered by its ‘Richard and Judy Best Read of the Year’ award. I loved the film and I’d heard the book was incredible; but the 500+ pages of tiny font were pretty daunting – but thankfully thoroughly worthwhile. This is a book I’d recommend to anyone with even a fleeting acceptance of sci-fi and fantasy fiction. While fantastical in places Cloud Atlas is, more than anything else, a celebration of language and storytelling. It effortlessly shifts gears through the ages, glorying in the language of each era as it goes. From Victorian pomp right through to an experimental pidgin English of a dystopian future, it’s quite the writing master class. My only real complaint was that most sections seemed to drag a little towards the end, labouring a little as the author was clearly having fun writing it. I don’t think we would’ve lost anything of the style or story if it had been 100 pages shorter, but it’s a minor quibble. Also, I’m glad I read the book after seeing the film as many have moaned about the movie having done so the other way around. I guess many of those people are the type who can’t see these two very different artistic mediums apart and feel one has to be the mirror of the other (get over yourselves – you;re wrong). Personally I thought the film was great. It looked beautiful and the way they made the actors up through the different ages was really well done. But it does follow a different structure (as it had too, being just a single movie for such a long book), so take that with you going in. 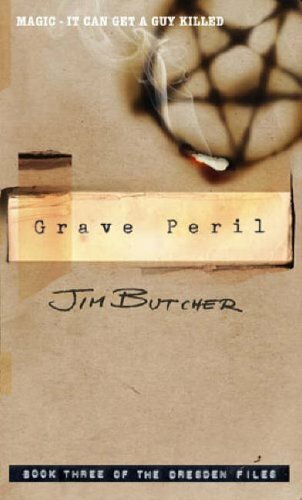 As Cloud Atlas had taken me six months to read it seemed a page turner (well, for me) might be in order, so I turned to book three of The Dresden Files, Grave Peril by Jim Butcher. Two months later and it was done – the last chunk, aptly, being read on holiday. I spoke about book two of the Dresden Files back in October 2013, so won’t dwell long here – you don’t want to read these out of sequence and I’m not about to start talking about characters/plots as I can’t remember what relates back to who in the old ones. 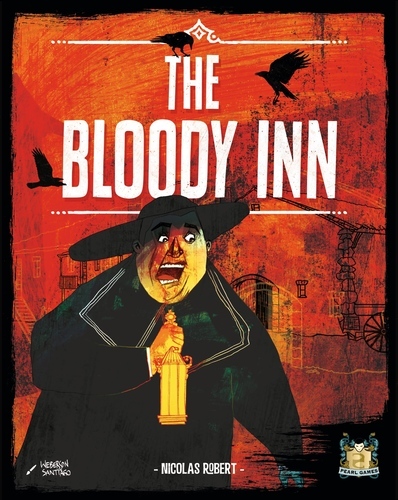 In short, think classic noire detective stories with added magic. And vampires and werewolves. And the ‘never never’ – and this time holy swords and nightmares. And don’t expect it to be the best written book ever, but don’t let it worry you either – thankfully the rapid-fire story does enough talking to drown out (m)any faults in the prose. I found out recently that they’d made this series into a TV show, which it was clearly written to be – but it got panned after one season. If anyone saw it I’d love to get opinions on it as I’m truly tempted to grab the DVD. As for Grave Peril, the best praise I can give it is that I’m fully intending to continue with the series – although I don’t think I can read them as fast as he can write them (he’s up to number 15 now, apparently). But it’s nice to have something to look forward to in a series you know will probably literally outlive you – because it has (I expect) no end game, so there’s no fear of missing any big reveal by my untimely death getting in the way. After two fantastical novels in a row I felt duty bound to read something less fictional – so turned to Cognitive Surplus by Clay Shirky. It has been on my ‘list’ here since the first one back in March 2013, so not before time! The book can very much be seen as a potted history of how we interact with the internet; and how that has changed the way we interact with ‘media’ in general since the turn of the century. Where TV, print etc tend to spoon feed us entertainment and knowledge, the internet has made it much easier for us to participate in the creative process ourselves – and many of us that do so do it out of the love of it (see: this blog), rather than having financial gain as the key motivation. Shirky does a great job of describing some complex theories in layman’s terms – but can’t do it without making it very clear that he is not one of us stupid people. When talking academically he is all about the ‘us’; when talking about the plebs, it’s very much ‘you lot’, which is a shame. But having spent some considerable time with academics over the years, it’s also pretty much par for the course. But you shouldn’t let that put you off taking a look at. what the internet has really done has shrunk the world; while changing the way many communities work from being largely geographical to more about our own specific interests. It’s fascinating stuff and a book I’d highly recommend, especially as it’s an easy and relatively short read. Rivers of London by Ben Aaronovitch. Its third time at number 1, having been on five of these lists (a record). I STILL really want to read it; what the hell is going on? Teach Yourself: The Cold War by CB Jones. I got a copy of Cold War board game Twilight Struggle and wanted to put it in proper context. I really should know more about this history I lived through, so this is on the list – twice so far. The Bleeding Heart by Christopher Fowler. New entry! The latest Bryant & May detective novel. Nuff said. 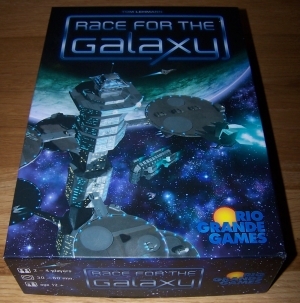 (1) Race for the Galaxy (2007) While my plays of this have dropped dramatically after I stopped attending my old regular midweek group, it still sits comfortably at the top of the tree. You may need to be tied to a chair and forced to play 10 games before you really ‘get’ it, but it is absolutely worth it. (3) Terra Mystica (2012) I have played some good medium/heavy euros over the past year, but none of them have come close to Terra Mystica. Pasted-on theme aside, this is a masterful mix of strategy and tactics that’s chock full of meaningful decisions from start to finish. (4) Ticket to Ride (2004) Thanks to its many maps adding just enough variety and rules tweaks to keep things interesting, Ticket to Ride remains my gateway game of choice. Few games can be so easily taught, then played while chatting, but still give you the feeling you’ve been doing something competitive. (2) Ra (1999) Like Race, my plays of Ra have dropped off since leaving my midweek group and, thanks to not feeling quite so satisfying in plays since, it has dropped a couple of positions. Three-player is its sweet spot for me and I just don’t enjoy it as much with four or five – which is how I’ve played most recently. 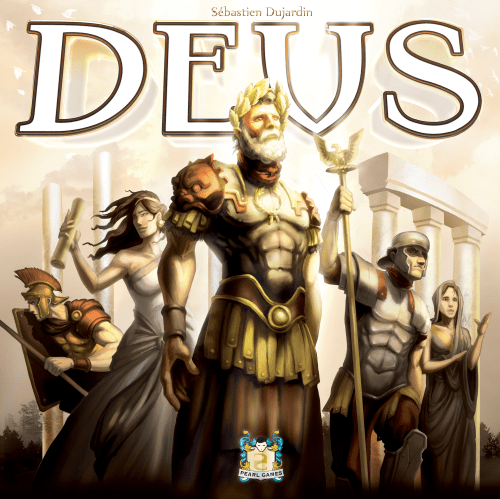 (-) NEW Deus (2014) The stand-out game of 2014 for me, by miles. This is in a similar place for me as Race for the Galaxy, being tactical and card driven and playing out in under an hour and having several routes to victory. But it has a much lower barrier to entry, meaning it is easier to get to the table. (20+) Endeavor (2009) A big jump for Endeavor, which had been a little forgotten in 2013. I’ve had three hugely enjoyable games since and it is firmly back in the rotation, being enjoyed by everyone in my weekend group. It always feels too short, but that in itself adds to the excitement. And it can be really cut-throat. (6) The Downfall of Pompeii (2004) Gateway game number two – and the only thing holding it back from more plays is the fact it’s limited to four players. The switch in game style half way is genius and works brilliantly, moving from placement to mayhem and murder on one fun little step. (20+) The Castles of Burgundy (2011) Castles has risen to the position of number one Feld design on the list by dint of being one of Zoe’s favourites. It plays pretty fast for its weight, while two-player it feels very tactical as well as strategic. While a bit of a point salad, importantly it always feels like the best player on the day won. (8) Copycat (2012) While not the most popular game on this list, I enjoy the way Copycat uses mechanisms I love from other great games and really makes them compliment each other. It plays fast but also thinky, having a great mix of luck, strategy and tactics that I keep wanting to come back to. (5) Tzolk’in: The Mayan Calendar (2012) While Castles and Endeavor have jumped up the table due to working in my regular groups, Tzolk’in has fallen a little for the opposite reason: some simply find it frustrating and it can be very punishing score-wise if you play poorly. But I’m still a big fan, so it’s staying in the top 10. (9) Through the Ages (2006) While I still really enjoy my plays of Through the Ages, I find the power of military in the game a little frustrating at times – but not as much as my inability to be any good at it! Still my favourite three-plus hour game, but there is definitely room in my life now for its successor. (14) Snowdonia (2012) While a few euros tumbled a few places due to tough competition (see below), Snowdonia has held its own thanks to the variety of tracks and its simply ingenious ‘game plays you’ mechanisms. The weather constantly ruins my life, players steal MY actions and I love it every stinking time. (20) Pizza Box Football (2005) I’ve had two more plays since last year’s top 50 – one an epic, crushing defeat and the other a close defeat after an oh-so-close onside kick failure. Both games were epic in their own way and no matter how stupid this game may be, it never fails to deliver. (16) Twilight Struggle (2005) I now own my own copy of this classic, but sadly it has only been played once – must try harder. I’m hoping I’ve found a regular playing partner, but h wasn’t 100 per cent convinced after our first play. But as this is a proper cold war card play classic, I’m sure someone else will step in if need be. (-) NEW Bora Bora (2013) I skipped this on its release as it looked like a day-glo dog’s breakfast, but one play and I was hooked. The dice mechanism is worth the entrance fee alone, but the agonising decisions of which bonuses to give up on as you move forward really makes it shine. (11) Notre Dame (2007) Despite being relegated from first to third Feld, I still love me some Notre Dame. Card drafting is a mechanism I love in theory but in truth this is the only game I own that really uses it well. And it plays fast, every decision counts, and you’ve never got quite enough to do exactly what you want. (-) NEW Navegador (2010) I’m not sure quite where Navegador will end up in the long run, but right now it is my favourite Mac Gerdts game. It’s super crunchy and right now I’m enjoying that – but the jury is out on whether it will become too dry or just right. I love that rondel, but it clearly hates me! (17) Can’t Stop (1980) The 80s are still being represented in the top 20 by this evergreen push-your-luck classic. Zoe thrashed me in our last two games but I still thoroughly enjoyed myself. I’m not sure hat says more about me or the game, but either way I’m still smitten by this daft family game. (7) Concordia (2013) Gerdts’ momentary meander away from his beloved rondel is still a game I love, but it isn’t drawing me to the table quite as much as it was a year ago. I still enjoy the tricky decisions you are forced into each round, but it may be a little too dry and a little too solitary to keep a place in my top 20. (13) The Manhattan Project (2012) The great integration of theme and the clever, edgy worker placement have kept this in the top 20 despite me only getting it to the table once since last year’s top 50. And people like it too – what have I been playing at? A game that may well bounce back up in next year’s list. Acquire (1963) A steady hold for Acquire, which I still can’t believe is as old as it is and remains the granddaddy of the list. Luck, clever play and speculation all play their part in this light economic gateway game. 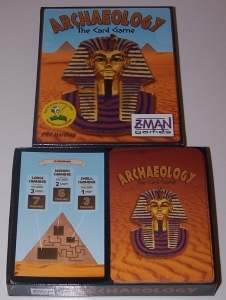 Archaeology: TCG (2007) A big two-division jump for this, which didn’t look likely a week or two ago as it hadn’t been played for ages. But a few funny, swingy games have reminded me just how good, light and fun it is. Ingenious (2004) A drop from 12 for Ingenious, largely due to a lack of plays over the year. 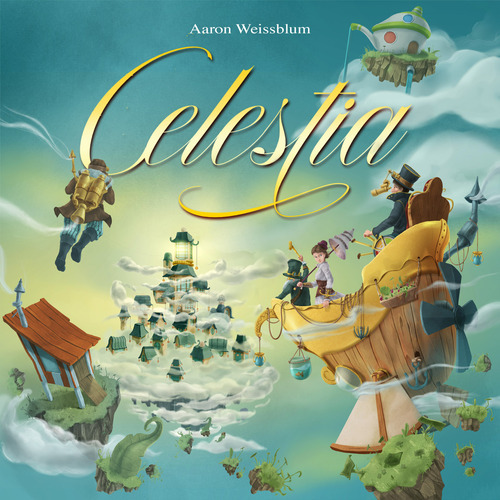 Still a favourite for sure and one that may head back up the chart if I find others who like to play more regularly. Maori (2009) A one division jump for Maori, whose tile-laying charms continue to entice me despite my regular ineptitude at the game. Simple to teach, tough to master – well, it is for me anyway! The fourth and final Feld on the list. Port Royal (2013) A hold for Port Royal, although it is teetering on a division drop. I still enjoy it but almost feel as if I’m waiting for a slightly better push-your-luck card game to come along. Right now, Archaeology (above) has edged ahead of it. Reiner Knizia’s Decathlon (2003) A small jump for this free Knizia game as I now tend to enjoy it a little more than Pickomino (below) if Zoe and me decide to go head to over the dice tower. I still mostly lose, but hey – that’s dice. Rosenkönig (1997) A small drop from 15 for this fascinating two-player abstract, but nothing really to worry about. The thrill has gone a little now that I’ve finally found my own copy, but I still get a kick out of it when I get to play. The Boss (2010) The Boss is hanging in there, no problem. I’ve played with several groups over recent months and everyone has been that great blend of initially baffled, then delighted, then crushed once more as they get their head around it. NEW Yspahan (2006) Nine years old, outside the top 250 and I’ve never seen it on the table anywhere else – but it has captured the imagination with everyone I’ve played with so far. A very clever design and I look forward to exploring it more. 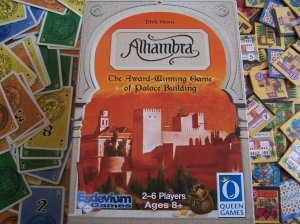 Alhambra (2003) The expansions are definitely keeping Alhambra fresh for me, pushing it up a division by giving a new lease of life to this classic tile buying/laying game. I’m not sure the original on its own would still be in the top 50. Brass (2007) A drop in division for Brass, simply due to lack of plays. My opinion of the game hasn’t changed: its one of the best heavy euro games out there. But the fact I haven’t played it for months has to say something. It may well rebound up. CV (2013) This is another title that’s expansion has helped it up a division, but its charm is still very much in tact either way. The Yahtzee style dice mechanism fits the theme really well, while the cards just pile on the charm. Kingdom Builder (2011) The Android app of Kingdom Builder has helped it hold its own, as I haven’t played the ‘real’ version much. I’m still terrible at this clever and quick area scoring game, but love it all the same – even without expansions. Macao (2009) I think Macao has largely dropped a division under the pure weight of Felds and other good euros. My opinion of it hasn’t dropped – its more that games are just slotting in above it in the medium weight category. NEW Manhattan (1994) With three games under my belt now, this is now in my ‘must buy’ category. Fast, nasty, light on rules and deeply table talk inducing, it succeeds despite looking bloody awful and having no theme. A true classic. Manila (2005) Manilla holds its own thanks to no other game I’ve played so perfectly blending the betting and racing genres. Lots of luck, sure, but also lots of interesting decisions to make each round. NEW Oltre Mare (2004) This turned out to be a great acquisition, taking the ideas of Bohnanza and adding more strategy, some nastiness and more real thinking to the mix. Must… stop… thinking… about upgrading my perfectly adequate copy. Pickomino (2005) Another hold, this time for one of Zoe’s favourites. We don’t play as often as we used to, and the chicken gods still hate me, but you can’t beat the look on Zoe’s face as she crushes me again and again. And again. Power Grid (2004) Oddly this has gone up a division despite very few plays over the last year – where Brass has fallen for the same reason. I think they’ve found their level – I was just newer to Brass this time last year and a little jaded on Power Grid. NEW Ancient Terrible Things (2014) Despite being a year older I’d still reach for CV before ATT, hence its lowly position here. But I do very much enjoy it and look forward to exploring its dice-rolling Cthulhu goodness more throughout the year. Basari (1998) Basari has dropped two divisions largely due to a few lack lustre games, which have seen some of my friends fail to get into it at all. I’m still keen, but everyone needs to be on board to make this negotiation card game truly shine. NEW El Gaucho (2014) Six months ago this clever dice/set collection game may have made the top 20, but multiple plays have become a trickle. Played out? Maybe, but its still in the 50 because I think a break will be enough to reinvigorate it for me. NEW Johari (2014) While I love Johari’s mix of gem collection, action cards and turn order manipulation others have been less enthusiastic. I would rate this game higher if I could find some enthusiasm for it in others when we play! Nefertiti (2008) This unique and clever bidding game has dropped down a division purely due to a lack of really fun plays. The game isn’t at its best with two and, like Basari, I’ve struggled to get it played with the right group of people. Puerto Rico (2002) The game that just beat the drop. While I still very much enjoy a play it rarely rises to the top of the pile now and sometimes plays out very poorly, even with people who enjoy the game. A classic, but for me a slowly fading one. Stone Age (2008) Anther ‘I love it but others fail to share my enthusiasm’ game. I like the random element and big points of this classic worker placement game, but it either baffles or bores most of my gaming pals. A big drop from number 19. Tikal (1999) A two division drop for this great area control game, largely because it feels too long – while the ‘mini’ version we tried was too short. I’ll always enjoy it in the right mood, but not often enough for it to stay in my own top 30. Uruk (2008) Another falling from the top 30, Uruk will always be in my collection but is fading a little because of its lack of variety; something that will never be fixed now that the inferior reprint has come along. Still great, but now just occasionally played. As you can probably tell, I didn’t think too much of 2014’s new releases. There was some real nonsense (Imperial Settlers and Madame Ching in particular), a massive pile of ‘OK’ games (Mad King Ludwig, Imperial Assault, Splendor, Star Realms, Istanbul, Mangrovia etc etc), one that flattered to deceive (Dead of Winter) and some that may yet make the grade (Roll for the Galaxy in particular) – but overall, I think it was a ‘meh’ year. There were still nine new entries into the top 50 this year – but five of them were older games. Bora Bora was 2013, so is hardly old, but the likes of Manhattan, Yspahan, Oltre Mare and Navegador continue to show me there are decades worth of gems out there still waiting to be discovered and that I should never judge an old game by its cover (or nasty pink and pale blue pieces!). Arkham Horror (2005) This was replaced by Dead of Winter earlier in the year – but after a few plays of that I came to the conclusion that Ameritrash games like this simply aren’t for me: too fiddly, too luck dependent, too ripe for a poor experience. 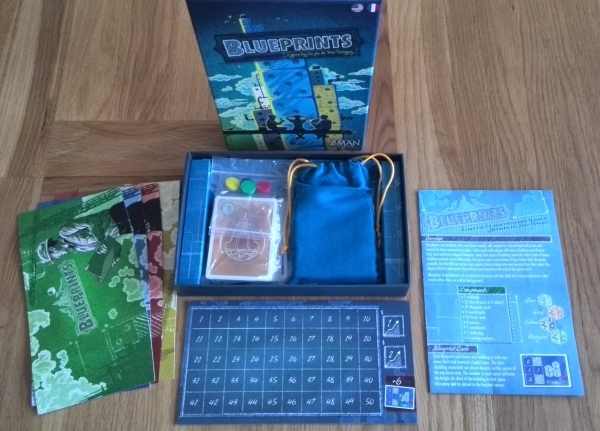 Blueprints (2013) A good game for sure, but it very rarely hits the table – making it hard to justify leaving in my top 50. I have no intention of getting rid of it though. Bruges (2013) This burned brightly for a short time, but in the end the level of luck/frustration just outweighed the fun factor for me and it disappeared from my wishlist. I’d play it more, but don’t want to get my own copy. Cards Against Humanity (2009) Another game I’m glad I own, and will play when the time is right, but that isn’t very often and in truth its just bunch of rude words on some cards with a borrowed game mechanic. Top fun, but not top 50 material. Escape From Atlantis (1986) This is another game I’ll play any time, and am happy with my £1 charity shop copy, but I need to play with some variants to really find its sweet spot. I like it, but it isn’t in the same league as Pompeii, for example. Hamburgum (2007) Again, still a great game – but Navegador simply replaced it in this top 50 as the Gerdts rondel game of choice. Having more than one on the list felt like overkill, especially with Concordia on here too. Le Havre (2008) I played this at the weekend, enjoyed it again, and even won – but it has fallen from my wishlist. For me the games goes just a little too long to fall in love with – the decision space gets a little too big, it becomes work, and I struggle. Rialto (2013) Having had an enjoyable game of this over the weekend it almost snuck back onto the list, but like Blueprints I just find it a little hard to love. Fun on occasion, and very clever, but not quite a classic. Revolution! (2009) Like Blueprints, a lack of plays has seen this fall below the 50. It’s a very silly, luck riddled game that I enjoy immensely despite its flaws but it needs three to play and just never seems to be the best choice available. Entdecker, Caverna, Age of Empires III, Africana and Lords of Vegas (both now owned), Sentinels of the Multiverse and Amun Re all impressed me after a single play. They are all games I look forward to exploring more – hopefully sooner rather than later. Roll for the Galaxy has been fun so far but the jury is definitely out. Maybe its too close to Race to make a big enough impression yet, but it has potential. Red7 I have enjoyed too, and own, but need to play more before deciding just how much I like it. But until next year… I’m out.